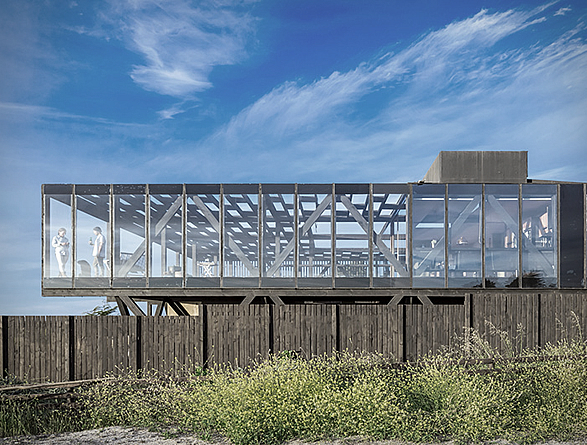 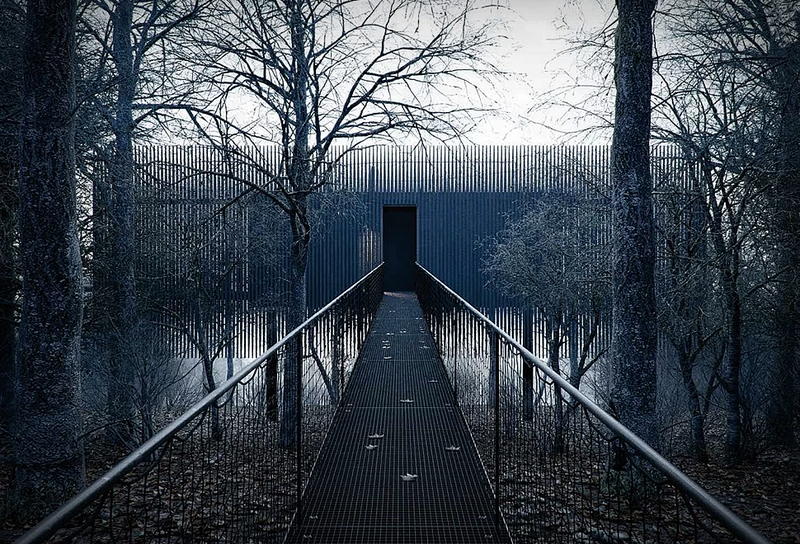 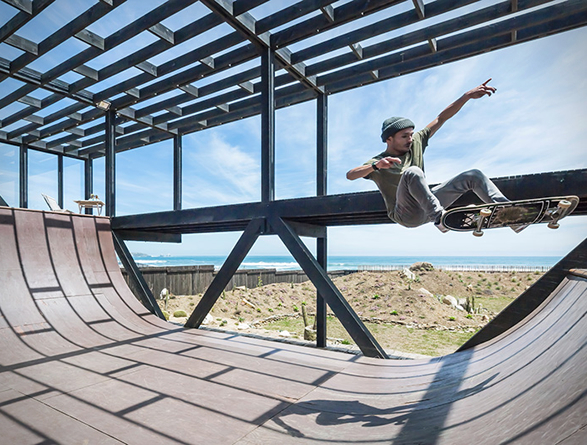 The Merello House by WMR architects is a dream come true for skateboarders and surfers. 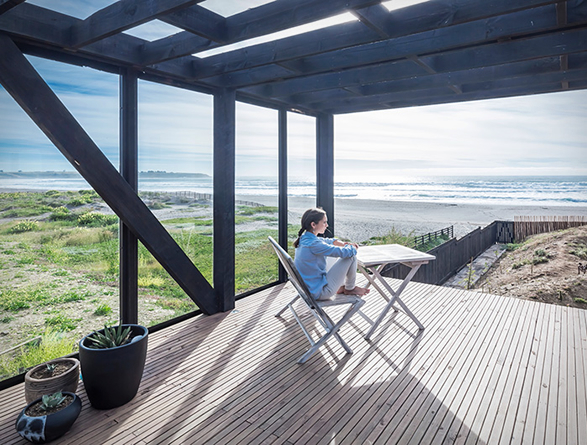 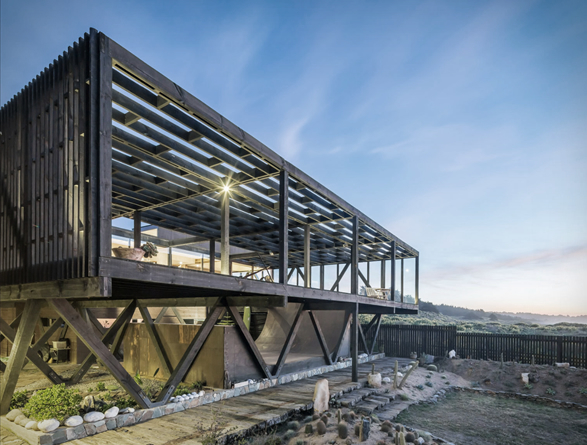 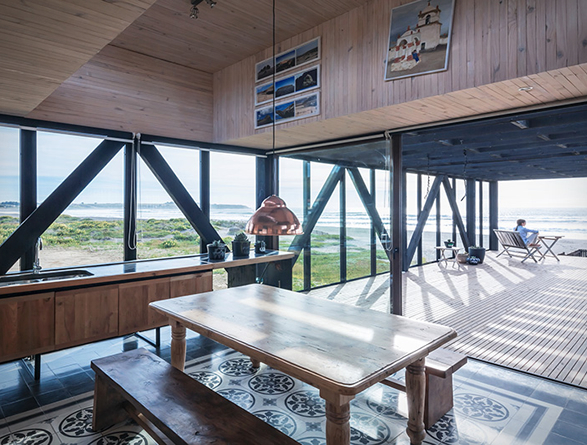 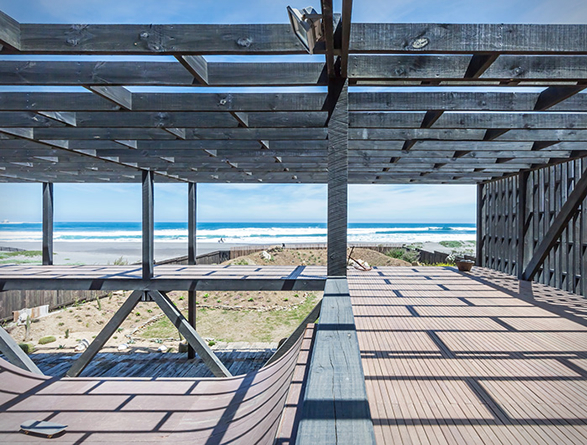 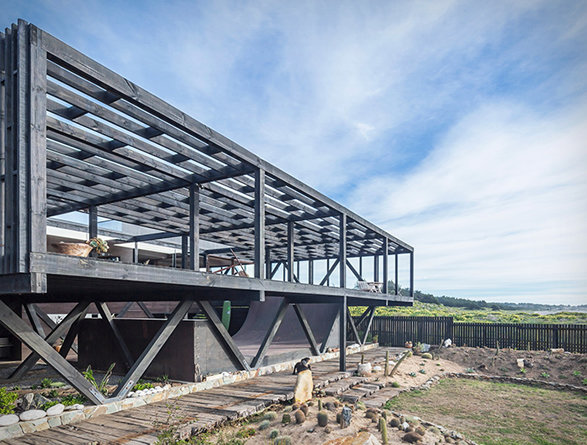 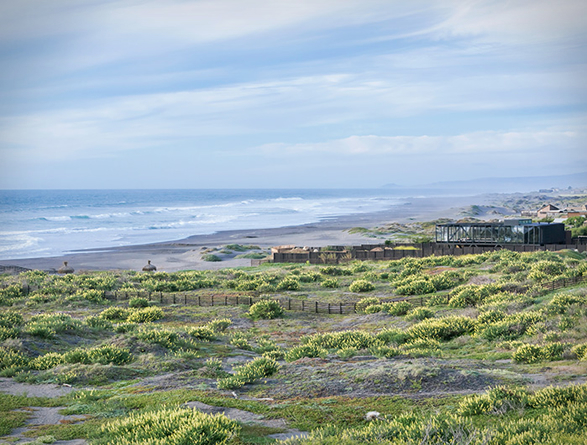 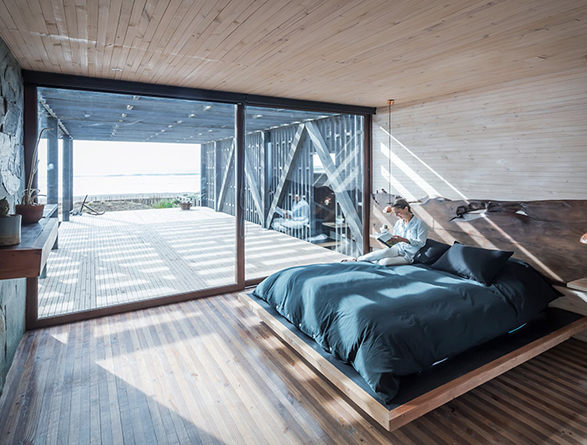 The unique 200-square-foot house was built overlooking the Pacific ocean in Pichilemu, a coastal resort southwest of Santiago in central Chile, and is a few steps to the beach, a true paradise for surfing fanatics. 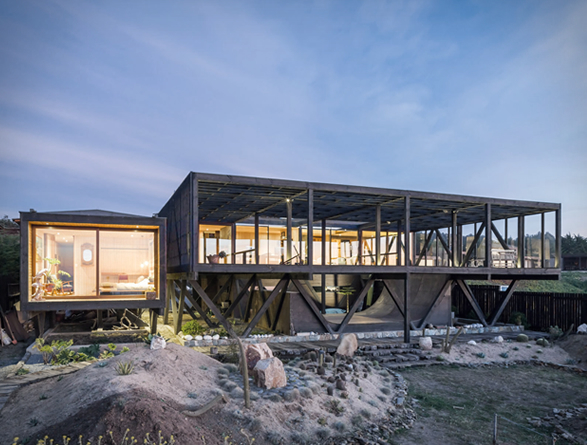 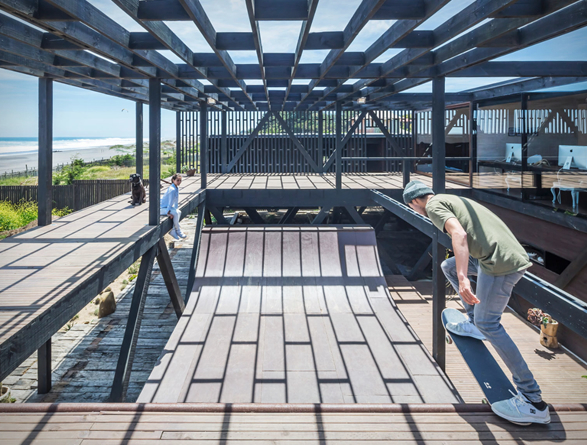 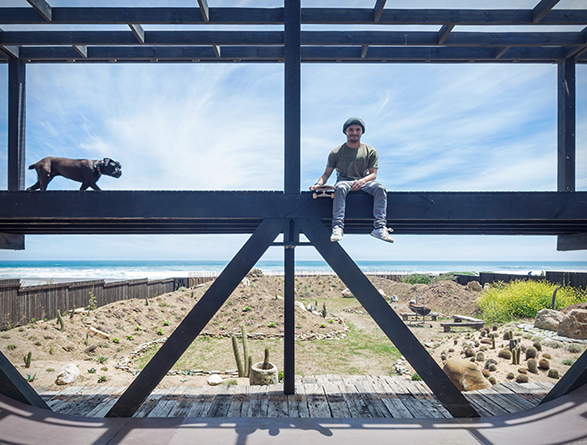 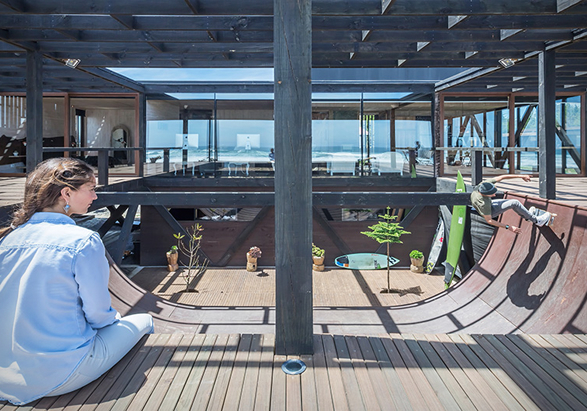 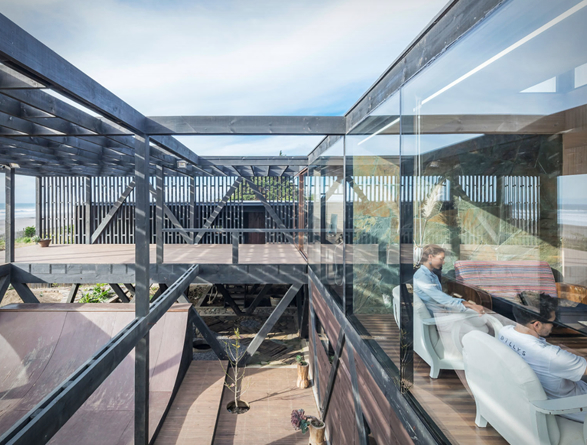 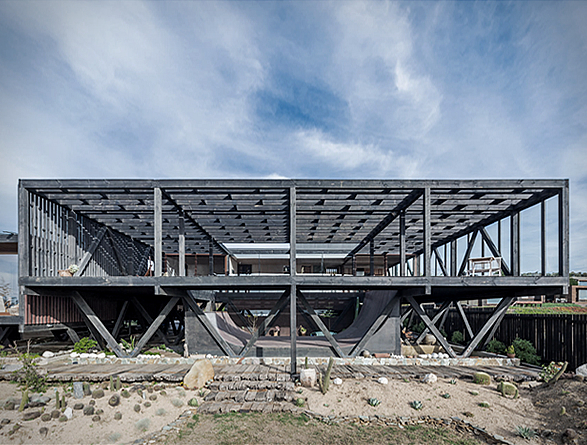 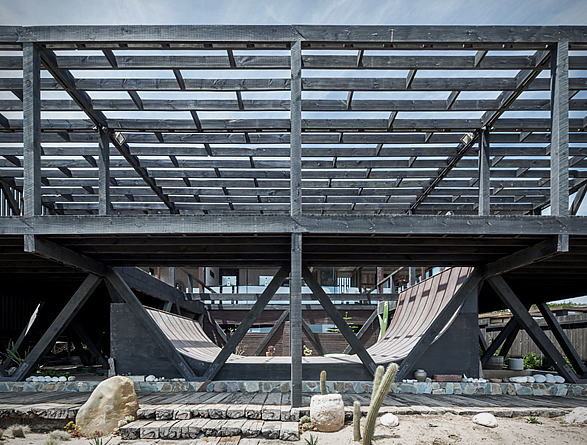 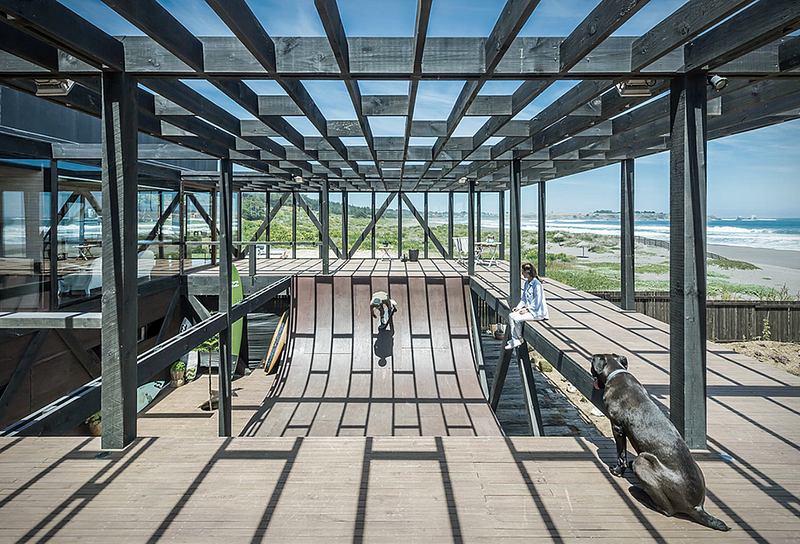 It was built for a Chilean professional surfer, and materializes his dream: the core of the residence is a skateboard halfpipe ramp overlooking the sea! 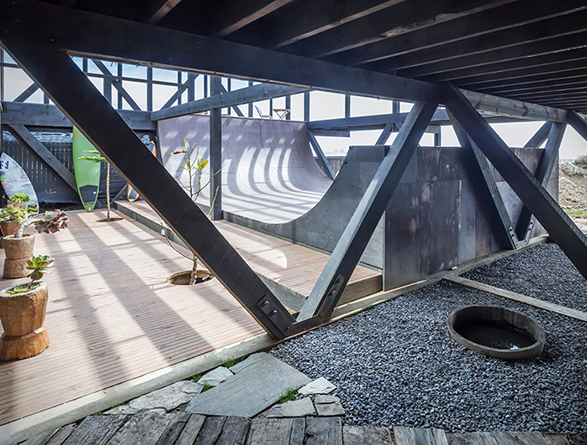 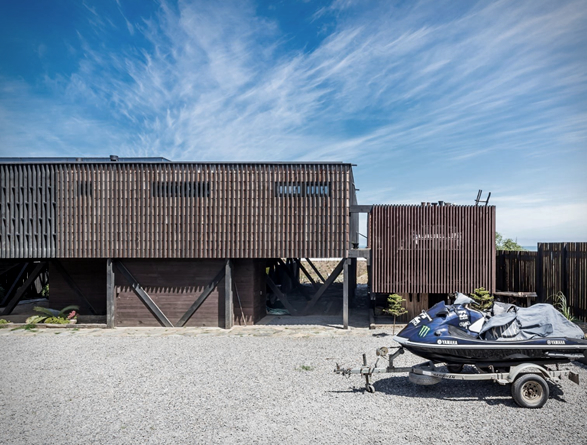 Given its proximity to the water, the pillars in V-shape suspend the entire inner area of ​​the house, protecting it from very high tides or even the risk of tsunamis.